Whether to have te key pad on the right or the left of the display. Whether to have an analoge meter - which would increase the size of the front panel. 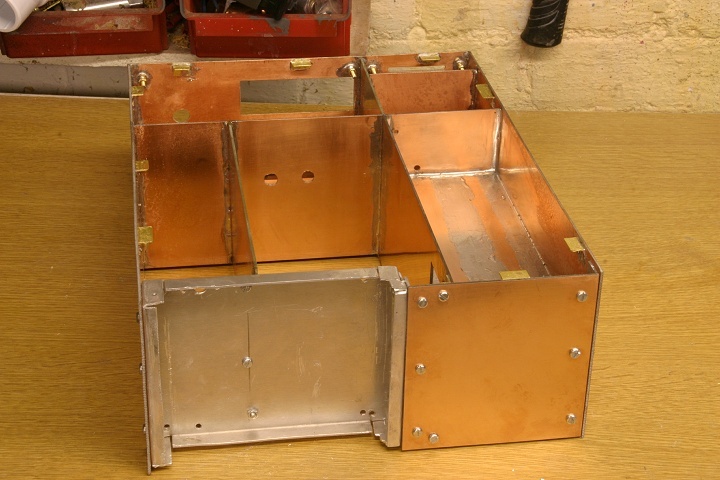 What material to use: ie a metal (aluminium) case or a case made of double sided PCB. 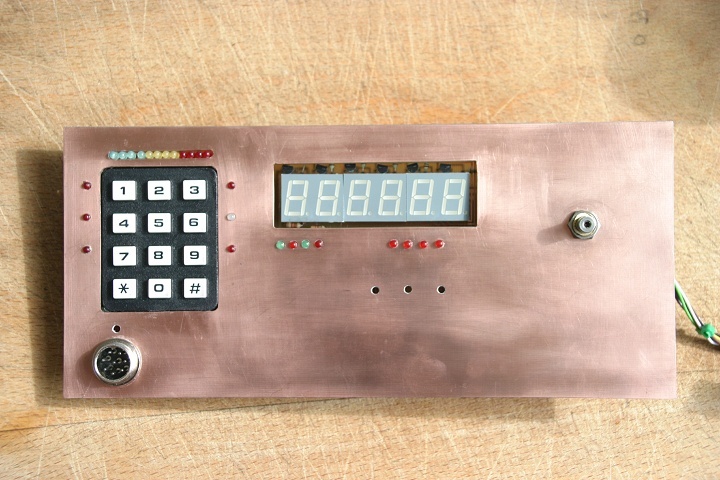 I decided on left keypad, no analogue meter and double sided PCB. 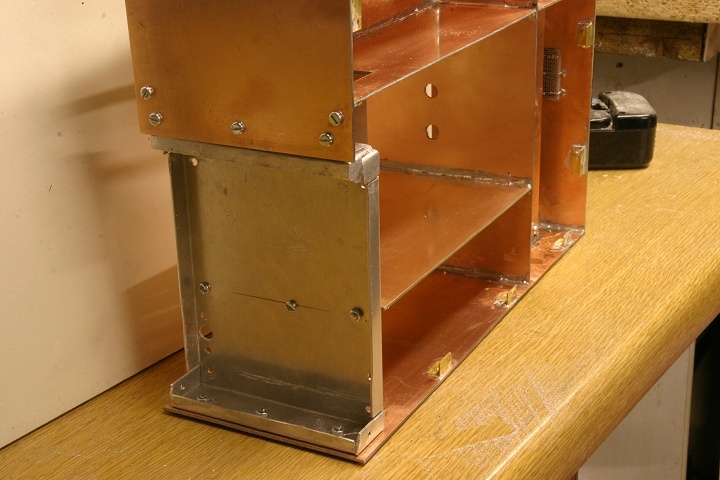 for the PA plus 3.5mm to allow for the thickness of the top and bottom panels above and below it. The front panel was been made first as it is the most difficult part and its layout defines the poition of internal partitions. Printouts of the keypad labelling overlay and display board layout were glued on to guide drilling and cutting. the display and status boards. Rear view: The leftmost cable is to the keypad and will be shortened and rerouted. 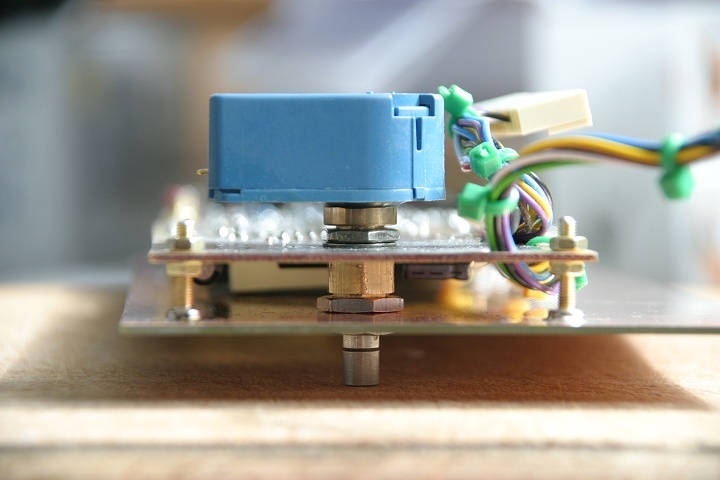 Detail of display board and rotary encoder mounting. 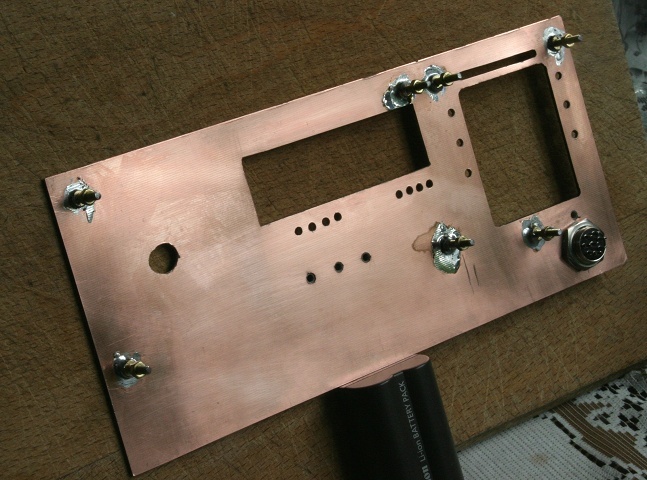 have the screws resting on the back of the panel. Spray flux was applied before soldering. 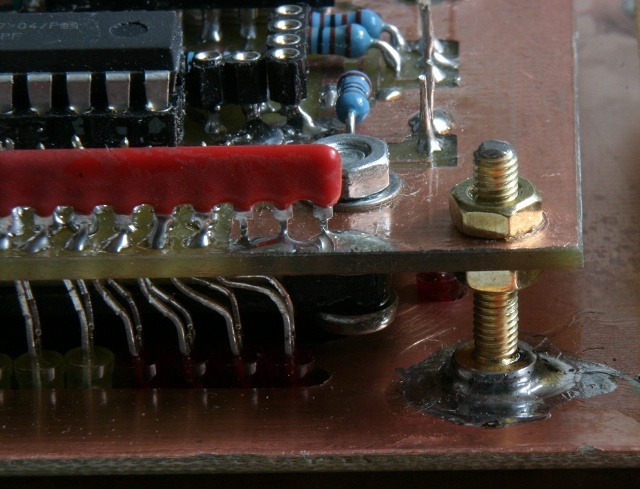 but strips of PCB retained at top and bottom to brace the back of the case. 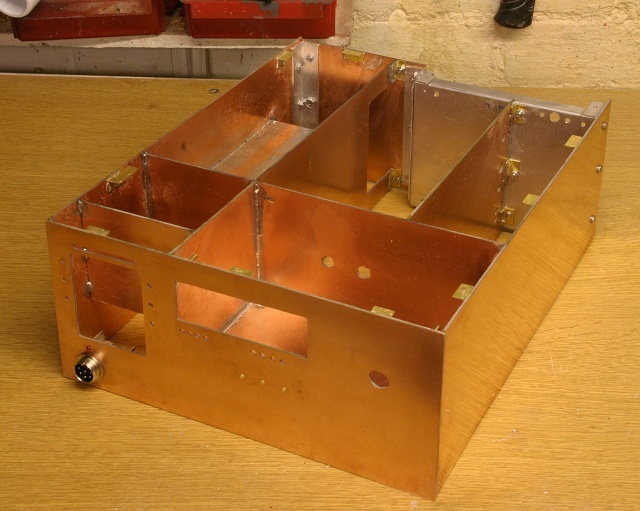 The PA + heatsink are on a U-shaped aluminium sheet forming the top, bottom and back of the PA enclosure. Further view showing construction of PA compartmen. 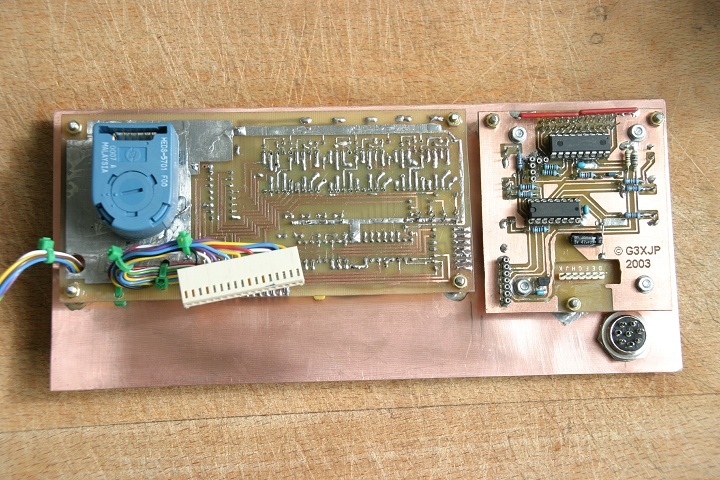 To join PCB to aluminium, brass angle from B&Q was soldered to the PCB board and screwed to the aluminium.